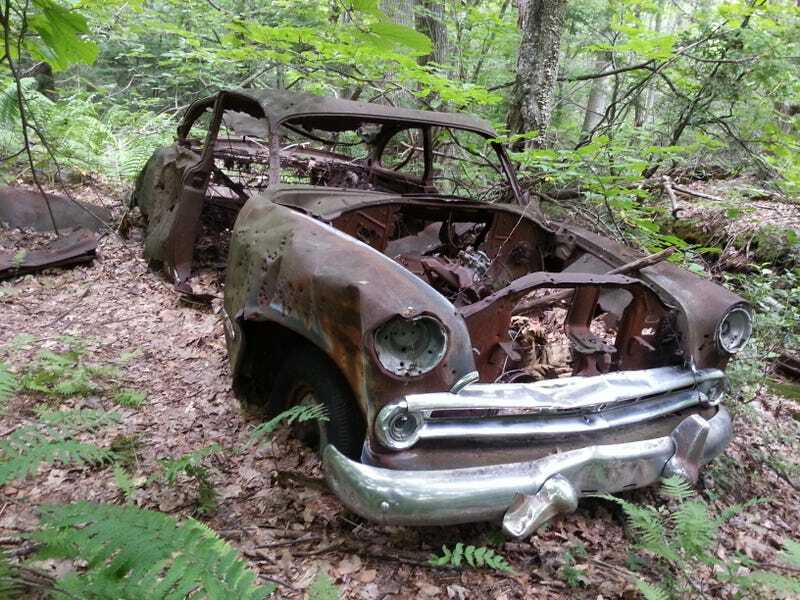 While out hiking this Sunday, came across this old car rusting away alongside the trail. Two doors, V8 engine with what looked like a 2 barrel carb and cast iron intake manifold. Thinking it looks like a '52 Ford kind of? That's my guess. What's yours?